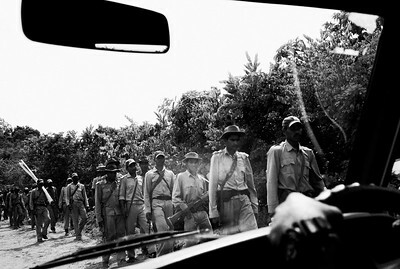 Images from Maoist heartland in Chattisgarh, India. Chhatisgarh, India, Sep 28, 2009. 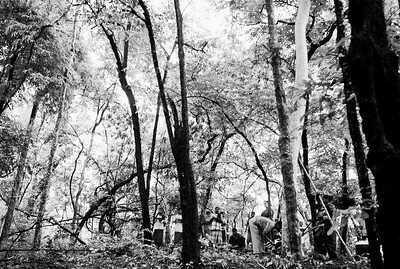 Early morning roll call at a Maoist jungle hide out in Bijapur district, Chhattisgarh. Chhatisgarh, India, Sep 2009. 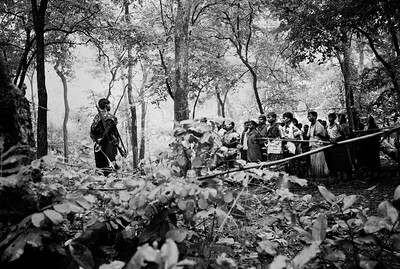 District commander of Maoist rebels in Bijapur district teaches Mao's principles at one of the jungle hide-outs. 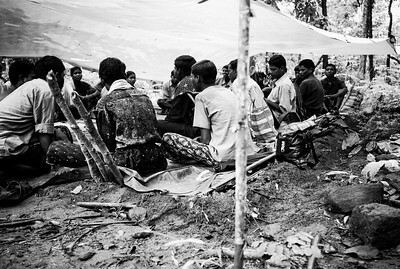 Chhatisgarh, India, Sep 28, 2009. rebel commander teaches maoist doctrine to the villagers in a jungle hide-out in Bijapur district. Chhatisgarh, India, Sep 2009. 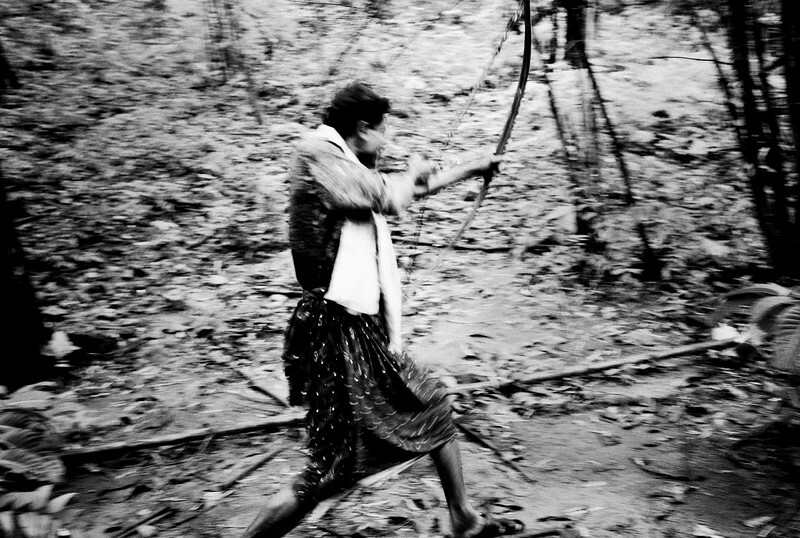 One of the villagers at a Maoist jungle camp demonstrates attack using his bow and arrow ( arrow heads often are poisonous and some have dynamite ). Chhatisgarh, India, Sep 2009. Mourners leave the cemetery (funeral pyre seen at the background) after the cremation of Baliram Kyashp, son of Bastar district member of parliament. Mr. Kyashp was gunned by naxlalites, when he was at a local temple attending ceremonies. Chhatisgarh, India, Sep 2009. 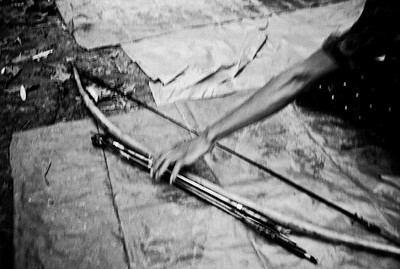 Bow and arrow used by villagers to attack the security forces seen at maoist jungle hideout in Bijapur district. ( arrow heads often are poisonous and some have dynamite ). Chhatisgarh, India, Sep 2009. Trainees at Counter Insurgency and Jungle Warfare college demonstrates their firing skills, during a media tour; CIJW college runs a six week training program for police forces from all over india. Chhatisgarh, India, Sep 2009. 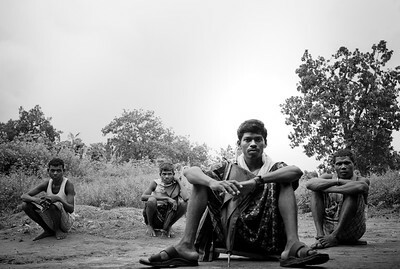 An youth (in the foreground) from Salwad Judum camp, run by the Chhatisgarh government for the tribal youth to counter attack the Naxalites. He has not returned to his village in 4 years. Chhatisgarh, India, Sep 2009. Trainees at Counter Insurgency and Jungle Warfare college seen during a media tour; CIJW college runs a six week training program for police forces from all over india. Chhatisgarh, India, Sep 2009. 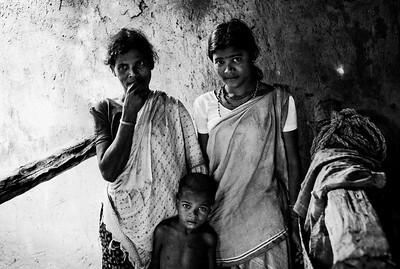 A family whose house has been burned down pose for a photograph of in their house in Vechapal. 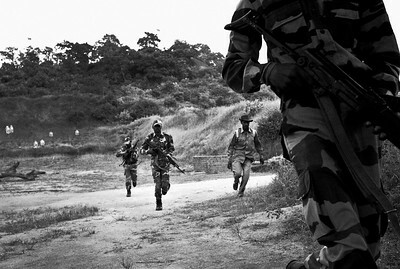 The houses were burned down by Salwa Judum - the anti naxal force set up by the government. 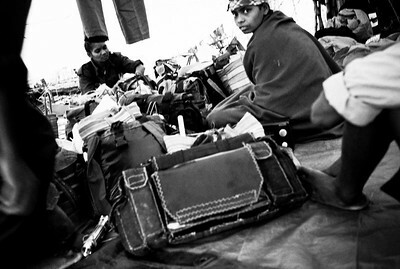 Chhatisgarh, India, Sep 2009. 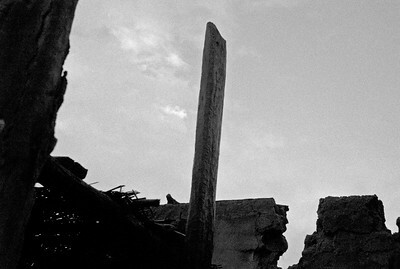 A burned down house seen a Vechapal village in Bijapur district. Chhatisgarh, India, Sep 2009. Maoist (Naxalite) sentries seen at Vechapal village, Bijapur district. Chhatisgarh, India, Sep 2009. 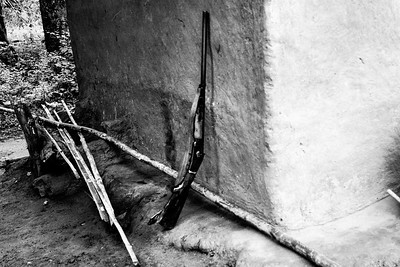 A gun used by maoist rebels seen in Veechapal village, a maoist controlled village. Chhatisgarh, India, Sep 2009. 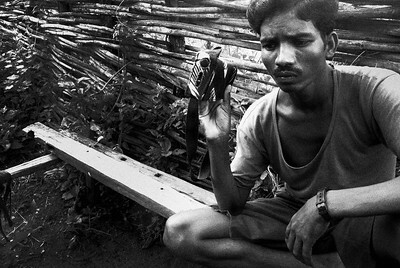 Maoist (Naxal) group member listens to hourly news in his transistor radio at Vechapal village. 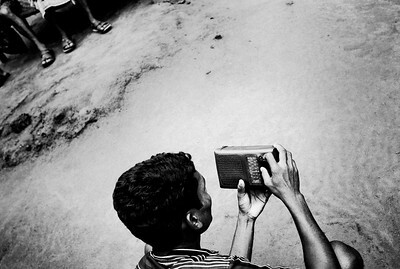 Members of Maoist group are taught to listen to news regularly and all the group leaders carry transistor radios. Chhatisgarh, India, Sep 2009. 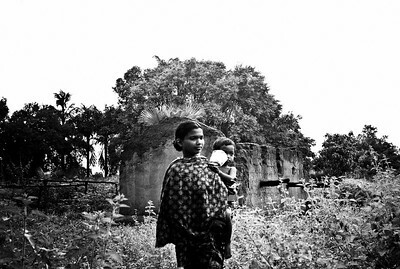 Woman seen infront of a burned down house in Vechapal village, Bijapur district. Chhatisgarh, India, Sep 2009. Villagers and Maoist group (naxalites) member seen at Vechapal village in Bijapur. Chhatisgarh, India, Sep 2009. 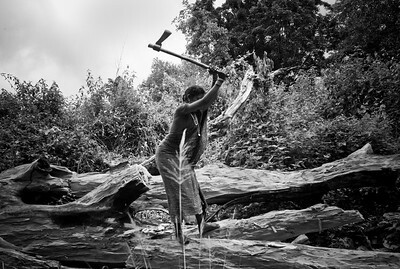 Tribal woman seen in a village in Dantewada district. Chhatisgarh, India, Sep 2009. Villagers seen at vechapal village in Bijapur district. 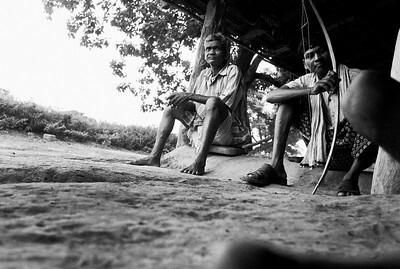 Villagers use bow and arrow to defend themselves from the security forces. 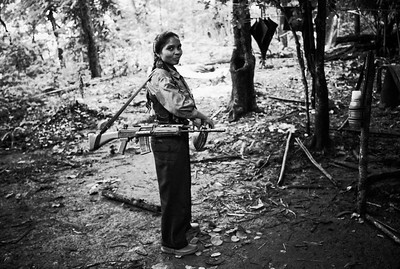 They also use the arrows with dynamites to alert the rebels (by shooting at tall tree) in the jungle. Chhatisgarh, India, Sep 2009. 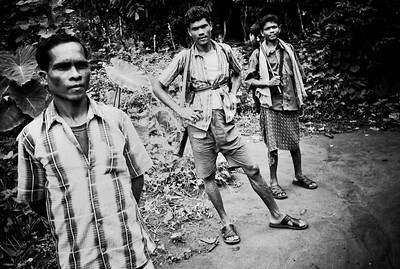 Villagers seen at one of the Maoist (naxalite) camp in Bijapur district. Chhatisgarh, India, Sep 2009. One of the naxal sentries listening to news in his transistor radio at his post. Chhatisgarh, India, Sep 2009. 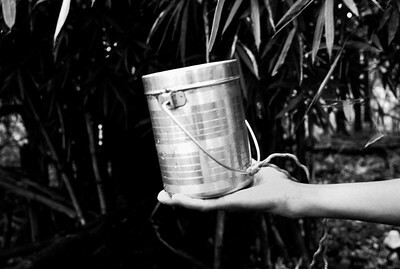 One of the cadres shows the dynamite in a tiffin box at one of their jungle camps in Bijapur district. Chhatisgarh, India, Sep 2009. 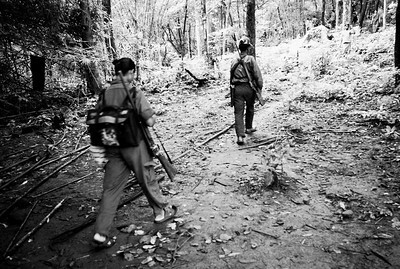 Naxalite (maoist) cadres seen at one of the jungle hideout camp in Bijapur district. Chhatisgarh, India, Sep 2009. 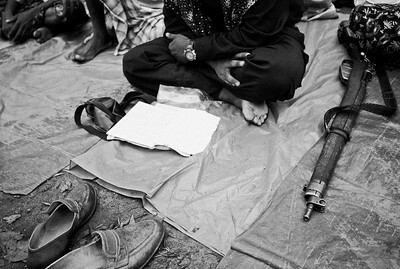 A sick cadre seen at one of the Maoist jungle hideout camps in Bijapur district. Chhatisgarh, India, Sep 2009. 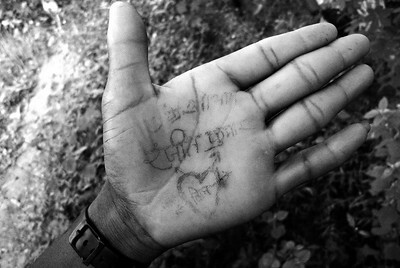 An young naxal cadre show his and his lover's names for a photograph. The naxal cadres are allowed marry with the leaders permission and often live in different camps. They meet rarely between their movement in jungle. Chhatisgarh, India, Sep 2009. 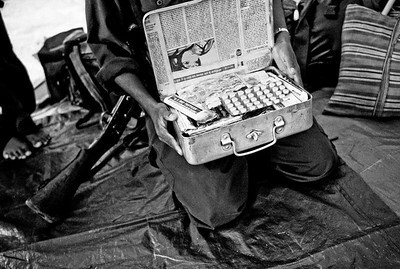 One of the maoist (naxalite) cadre shows their medicine box. 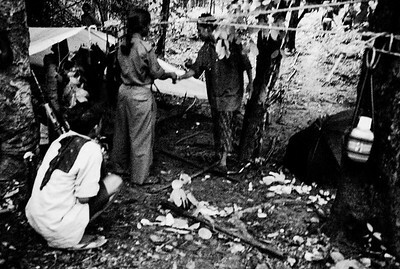 The naxalites travel in the jungle with all necessary medicine and surgical kit to treat the wounded and sick. Chhatisgarh, India, Sep 2009. 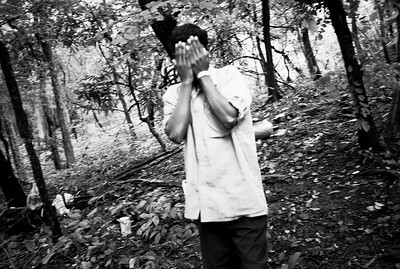 Group leader Dassaru (22) posses for a portrait in a jungle hideout camp in Bijapur district. 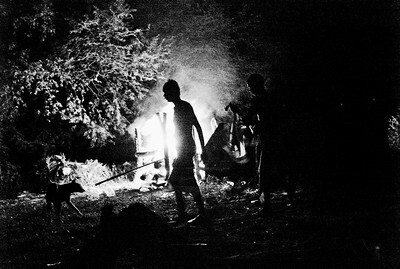 Chhatisgarh, India, Sep 2009. maoist (naxalites) cadres seen at jungle camp in Bijapur district. 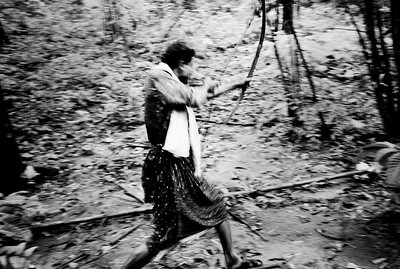 One of the villagers at a Maoist jungle camp demonstrates attack using his bow and arrow ( arrow heads often are poisonous and some have dynamite ).